Thanks to TLC Book Tours, we're pleased to present a review for Blood Money, a new thriller by Erika Mitchell. Make sure to check out the rest of the tour stops to see other reviews! 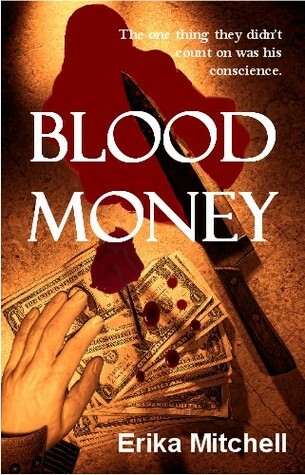 Blood Money is a fast-paced story following Azzam after he is outed as an informer for the CIA on his employer's shadowy dealings in financing and supplying weapons for acts of terror across the world. Azzam, who knew this day would come eventually, has to flee, but his old boss isn't going to let him get away so easily. Along the way, we meet a diverse cast of characters, including a multi-national group of mercenaries tasked with identifying the mole in Sun Corp's operations. Everyone in the story gets a little bit of backstory, so they're not just Nameless Bad Guys #1-6 or anything. It makes it easier to keep the many characters straight, and also makes the minor characters more memorable. There were a few plot twists in here that I was not expecting, especially a big reveal towards the end that surprised me and made me go back and see certain scenes from earlier in the story in a different light. There's a lot of foreshadowing and little hints as to the bigger picture in this story, but I definitely did not put the clues together until the end. This was definitely a book that I could envision as a movie. It has some pretty cool global settings, takes place over a very short period of time, and is constantly on the move. I finished the book way quicker than I had expected, because it was really hard to put down! I definitely wanted to keep reading to find out how everything was going to end. In places, I did find the writing to be a bit clunky, and the police procedural end of it didn't feel that realistic to me, but it didn't really spoil the story for me, as the plot as a whole was very engaging. The human aspect of the story -- the slow reveals about Azzam's past, for example -- worked very well for me. The author has an engaging, easy to read style, and I look forward to reading more from her in the future. Thank you for your kind review! I'm so glad you enjoyed my misanthropic band of bad guys, I had a lot of fun with them. If my book ever does get turned into a movie (ha!) I'll be sure to let you know! This DOES sound like it would make a great movie! I'm glad you enjoyed it overall.